75 years of Batman! From Robin to the Joker, the Batman Character Encyclopedia Hardcover Book is your guide into over 75 years of the Dark Knight's friends and foes. This compact, informative guide takes you through over 200 heroes and villains of Gotham City as well as tons of facts and information on the Caped Crusader himself, with each character profile crammed with statistics, informative annotations, and exciting comic book art illustrated by DC Comics's leading artists. 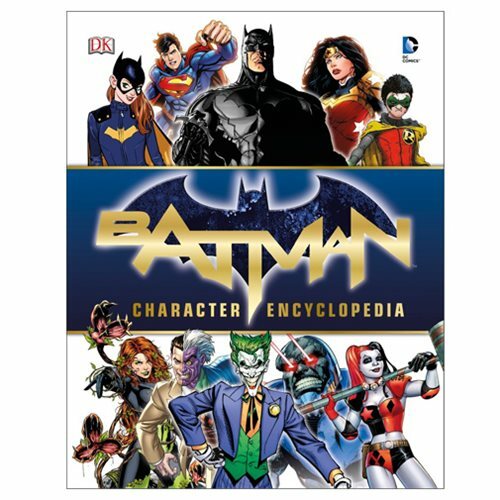 The Batman Character Encyclopedia Hardcover Book is perfect for the newcomers to the Batman series or the die-hard DC Comics fan, and is an excellent addition to DK's best-selling collection of Batman titles. The 208 page book measures approximately 9 1/2-inches tall x 7 1/2-inches wide. Ages 13 and up.